Central Newfoundlands Riverside Experience, Grand Falls, Nl. If you have your clubs in the trunk while trekking across Newfoundland on the Trans Canada Highway from St John’s on the east coast of the island to Channel Port-aux-Basque in the south west you will have no fewer than a dozen opportunities to pull over and show your clubs the light of day. 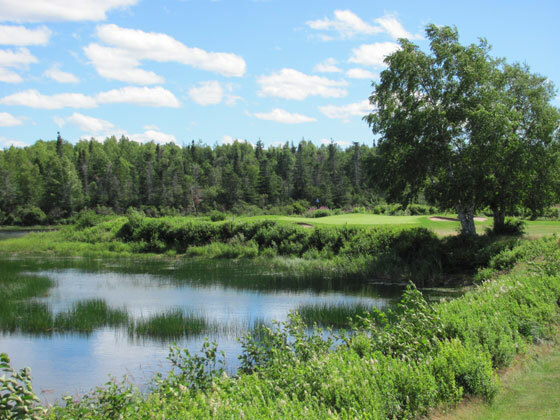 Located on the shores of the Exploit River, in the stretch between Gander and Deer Lake in the centre of the province, you will find Grand Falls Golf Club. 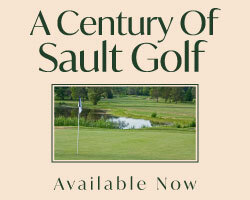 The course can trace its roots back to 1924, existing as a nine-hole facility until Graham Cooke was commissioned in 2004 to extend the routing to 18 holes. The original nine, now the front side, is shorter in overall yardage and is compressed into a relatively small acreage. It can be characterized as open, windswept with few trees and generally flat with a few humps and bumps here and there that will kick your ball around. The greens are undulating and present very small targets. Conversely, Cooke’s longer, more spacious back nine is carved out of a forest, the green complexes are much larger and fairway bunkering is ever present. Holes of note on the front side are the short par 3 third hole and the fun grip-it-and-rip-it drivable par 4 fifth hole. The scenic third hole may only require a short iron to cover the distance from tee to green but your distance control needs to be spot on for there is trouble all around. Both the teeing ground and the green complex abut the Plushy Pond Brook which flows down the left side of the hole with a little inlet cutting in front of the green. Once the usual gusting winds, sentinel tree standing guard shy of the green and pin placement on the sloping putting surface are taken into consideration the shot must be struck with conviction. In the immortal words of Harvey Penick, ”Take dead aim” or you won’t like the result. Hole number five is a fun reachable par 4 where eagle is a possibility but so is a double bogey if you are not careful. The elevated tee is set into a hillside and the downhill tee shot plays shorter than the yardage advertised on the scorecard making driving the green well within reach. However, the contours of the fairway will try to kick the ball off to the right. The long narrow green site is protected by a deep bunker front left and falls away right toward another bunker. 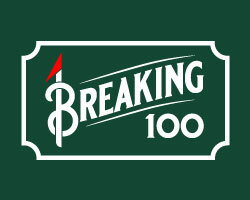 The wise player will play up short leaving a pitch shot up the length green to the pin. The Plushy Pond Brook plays an integral part in the design of the opening and closing holes on the back side. The ideal drive off the tenth tee must carry the brook and climb the gentle uphill slope as long down the left side as possible on this double dogleg par 5. Numerous bunkers line the right side of the fairway so favouring the left side on the approach is recommended. As mentioned the greens are much larger on this side so take care to take the pin position into consideration when judging distances. 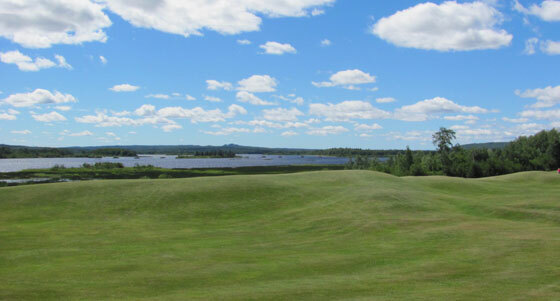 The home hole at Grand Falls presents a wonderful shot-makers challenge. The fairway runs parallel with the Plushy Pond Brook then makes a 90 degree sharp left turn across the water to the green complex on the far side. The hole is not a lengthy beast, however, what it lacks in distance it makes up for in shot value. The tee shot needs to be positioned tight to the left side as near to the water and the end of the fairway as possible, thus setting up the shortest possible approach from inside the 150 marker. If your drive strays right you risk finding one of three large bunkers that beckon the bail-out. What remains is a nerve rattling approach shot over the Brook to a huge two tiered green site that is bracketed by a long massive bunker right and two more left. Marking a 4 on the card on hole #18 is an accomplishment and will likely have you winning the ‘press’ more often than not.